Back in May of 2005, we issued a press release asking for land in which the Oklahoma City Astronomy club could call home. We had a few requirements, mostly they had to do with lighting (or the lack of it) and the distance from the City. We wanted to find a place close enough to the metro that would allow the members to take a short enough drive that they would actually use it while being far enough from urban lighting to be useful. We had a few responses, but the land we chose out by Watonga was the most beneficial to the club. 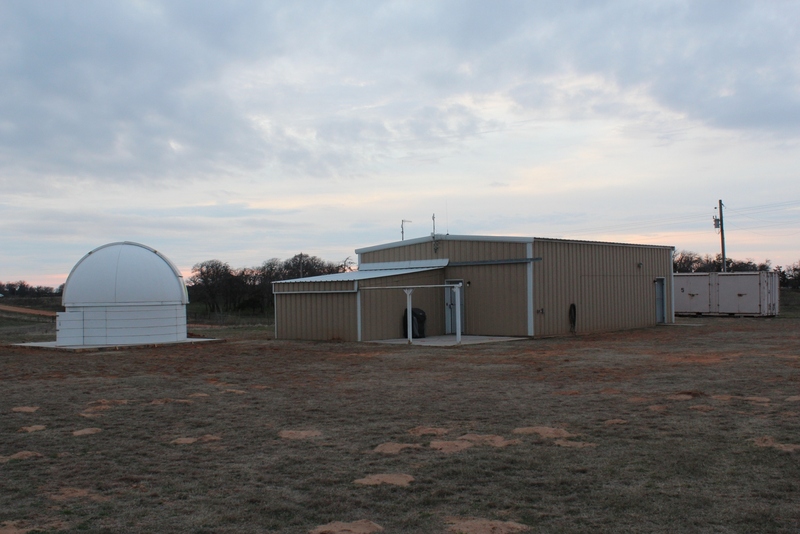 The Oklahoma City Astronomy Club, a non-profit association of professional and amateur scientists and educators, is seeking a remote, rural site within a 90 minute drive of Oklahoma City for conducting star research and public education. The Oklahoma City Astronomy Club has been in existence since 1958 with a mission of conducting scientifically useful research projects such as variable star measurements, meteor counts, asteroid occultations and lunar and planetary surveys along with educating the general public at public observing sessions. In the 1950s and 60s, dark skies were not uncommon, even in cities. However with population growth and the heavy use of 24-hour lighting, those who practice this scientific hobby must drive many miles outside of a city or town to see a clear sky. Currently the club views the sky from the shores of American Horse Lake ten miles west of Geary in Blaine County, but night fishing and camping in this public recreation area sometimes add too much light for observing the faintest objects. "We have identified some potential areas of good viewing in Kingfisher, Blaine and Caddo counties, but we are open to other possibilities," said Brad Ferguson, Chair of the Land Search Committee. The organization has had a number of sites throughout its history, but never a permanent home. They hope to build an observatory where equipment could be kept on site and where larger telescopes could be used. "Our group is looking for a long-term commitment in a rural community where we can be of service to the local schools and other groups." said Jeff Thibodeau, president. "The best observations of faint stars, star clusters and galaxies can be made in remote locations far from city lights and our club has a strong commitment to public service, especially to children and young adults. You should see the look on someone's face who's just seen the planet Saturn through a telescope for the first time!" The club is a 501(c)(3) scientific and educational organization and donations of land and other goods are tax deductible. How it got its name. Carol McCrary the owner of the ranch that donated the land has grandchildren who could not pronounce her name properly and began calling her 'Cheddar'. Hence the name of what we hope will be a great observatory and also serve as a living legacy to all those involved. Donate to Cheddar Ranch Observatory. Looking to buy something? Click below to support the Oklahoma City Astronomy Club. Send mail to webmaster@okcastroclub.com with questions or comments about this web site. 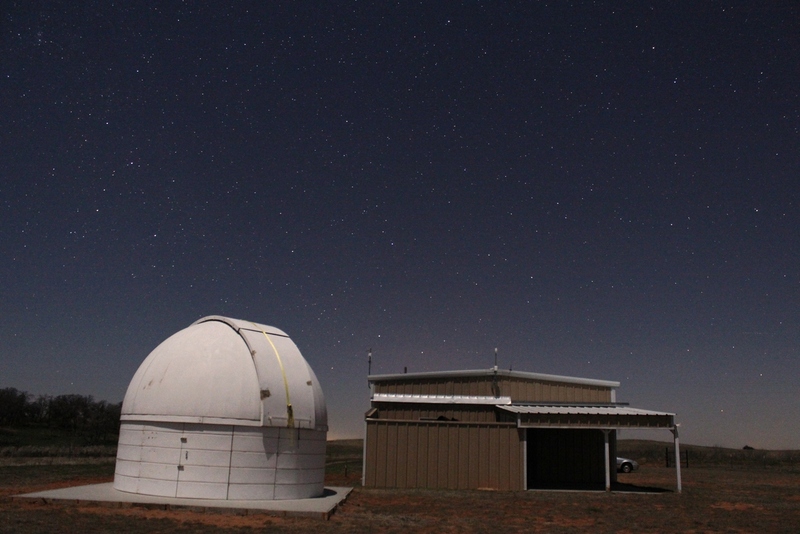 Copyright � 2006 by The Oklahoma City Astronomy Club. All rights reserved.